So I had to clean out a whole bunch of stuff from the crawlspace under my parents house. Stuff that had been filed and forgotten for 25+ years. And I found this newsletter! 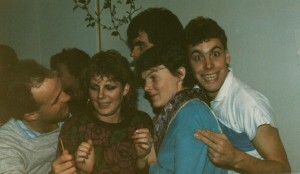 Hope you enjoy a snapshot of the summer of 86!